With the frame in “like new” condition, the process of rebuilding the car began. 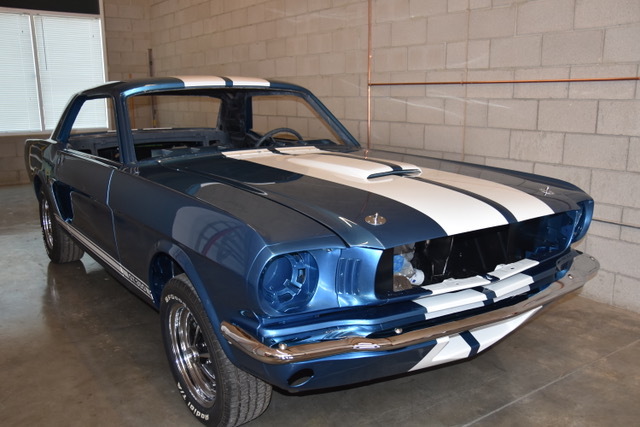 The goal was to build a mustang that retained the look of a 1965 GT350 while improving the drivability and performance by modifications that are possible using modern technology. Throughout the engineering process, these two goals were maintained and tradeoffs were made to ensure the design goals were achieved. 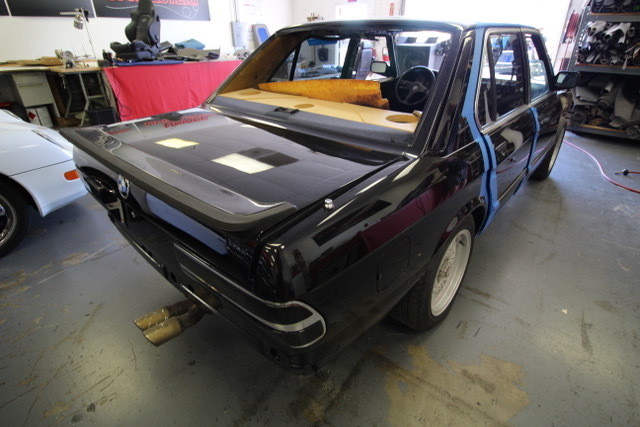 This 1987 BMW M5 tribute car was purchased by its current owner in 1999. The original car was a light blue 535i with an automatic transmission. The owners decided to transform this car into an M5 in 2016. While the M5 and the 535i share much in common, key mechanical differences include the suspension, brakes and engine/drivetrain. 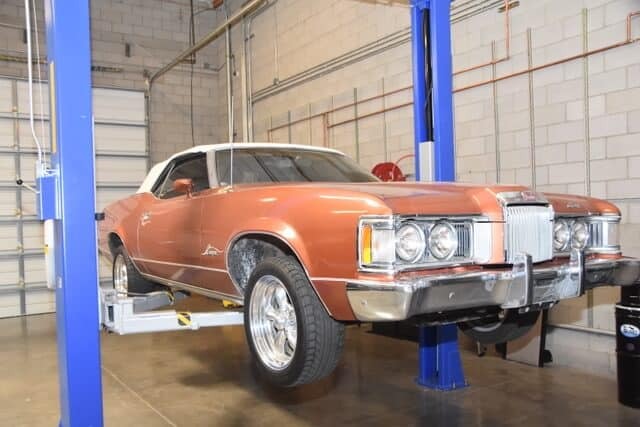 This 1973 Cougar XR7 convertible is an extremely rare Arizona car that was stored in a garage and has only 75,000 original miles. The paint appears original and only has a few minor defects. A unique pin-stripe design applied done by Butcher’s Custom Pinstriping” – an artist in the Phoenix East Valley who was very popular in the 1970s and 1980s.